Report: Patrick Wilson cast as Aquaman movie villain, Ocean Master – Eggplante! 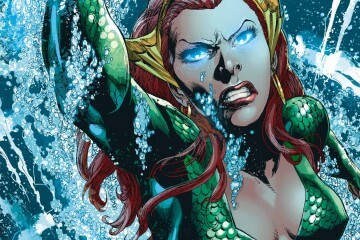 The King of Atlantis may have found his foe for 2018’s upcoming Aquaman movie. Deadline has broken a scoop today claiming that Insidious and The Conjuring star, Patrick Wilson has been cast as Orm in Aquaman, a.k.a. Ocean Master, a major recurring nemesis of Aquaman in DC Comics lore. 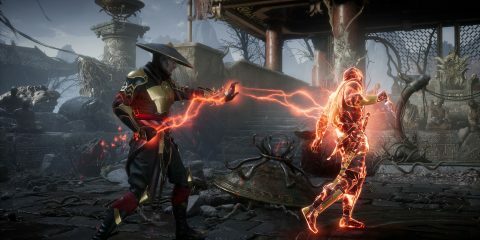 This would appear to debunk more recent rumours that Aquaman’s villain was actually going to be the titular character’s arch-nemesis, Black Manta, though it’s certainly possible that Ocean Master may not be the only villain in the movie. It’s also worth noting that Aquaman director, James Wan helmed both Insidious and The Conjuring, along with their first sequels, giving him plenty of experience working with Wilson already. Wilson is also a DC feature film alum, as he previously portrayed Dan Dreiberg/Nite Owl II in 2009’s Watchmen movie. Even more interesting is that Wilson has already lent his presence to the big screen DC Extended Universe that Aquaman will inhabit, namely in providing a voiceover cameo as the unseen President of the United States in this year’s Batman v Superman: Dawn of Justice! That could certainly cause some amusing canon-skewing humour among DC fans. When Ocean Master was first introduced in the DC Comics Universe, making his debut in 1966’s Aquaman #29, he was the fully human half-brother of Arthur Curry/Aquaman, utilizing advanced sea life-manipulating technology and a mastery of magic to do battle with Aquaman as a super-advanced pirate. 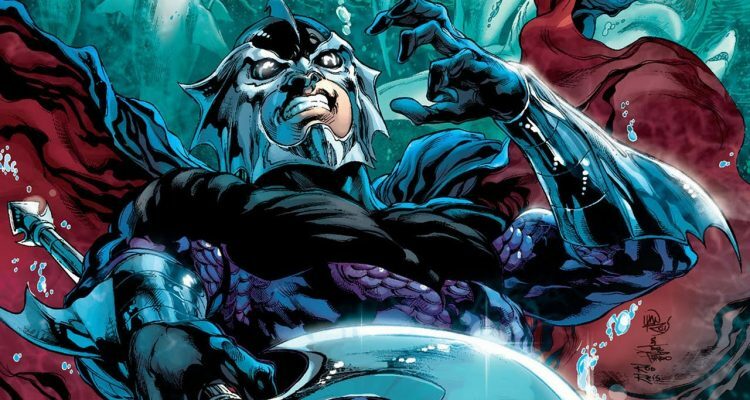 With 2011’s New 52 reboot of the DC Comics Universe however, Ocean Master’s origins were changed, with the character now being retconned to instead be fully Atlantean, not fully human, albeit still the half-brother of Aquaman in the new DC Comics canon. 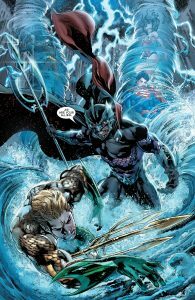 In post-New 52 canon, Orm is not only stronger, faster and more dangerous in underwater combat, due to his Atlantean physiology, but now also wields a lightning-manipulating trident that he never possessed in his human incarnation. It’s currently unknown whether Wilson will portray the human or Atlantean version of Ocean Master in 2018’s Aquaman movie. Aquaman was recently delayed out of its planned July 2018 release window, and is now scheduled for release on October 5th, 2018. 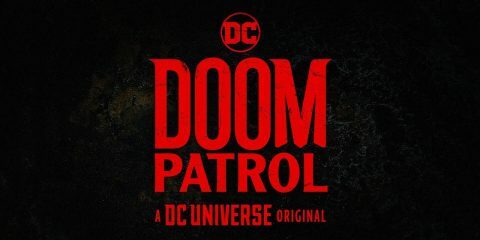 The movie will star Jason Momoa as the title character, who debuted Aquaman in a small cameo within Batman v Superman: Dawn of Justice, and is also set to reprise the role in next year’s Justice League movie. Aquaman will also star Amber Heard as Aquaman’s mate and aquakinetic warrior queen, Mera, and Willem Dafoe as Atlantis’ advisor, Vulko, with both characters also debuting in the DC Extended Universe ahead of Aquaman in Justice League next year. Keep swimming to Eggplante for all major news and updates on Aquaman, and other DC Extended Universe projects.